v.l.n.r. 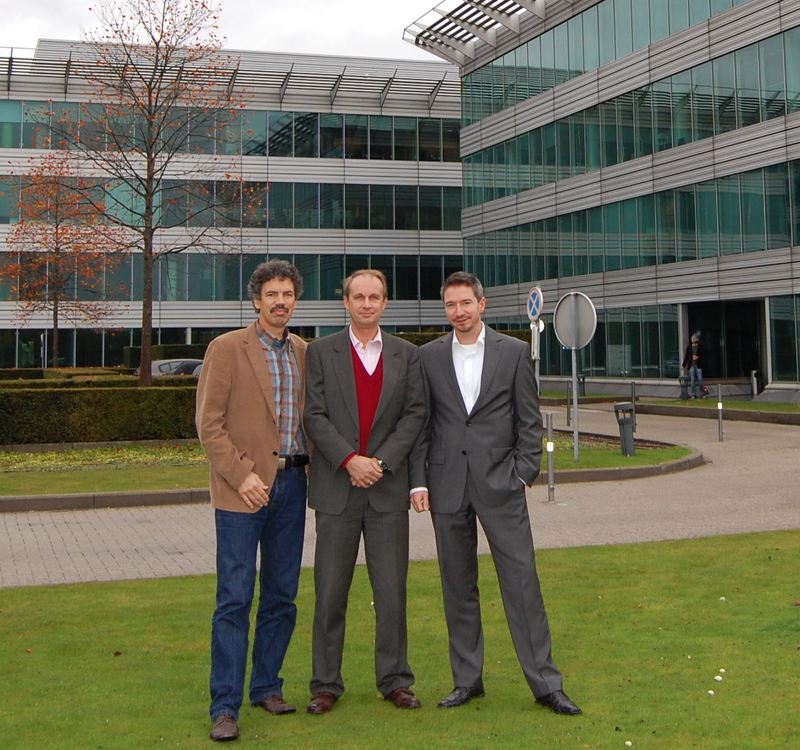 Christof Biba, Jean-Philipp Boucq, Frederic Herzog - Wagner & Co Belgium sales office. Cölbe/Brüssel, November 2011. 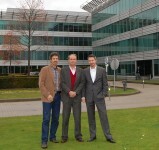 In spring 2011 Frederic Herzog and Jean-Philippe Boucq opened the Wagner & Co Belgium sales office. In the vicinity of Brussels, the team is now regularly accessible to customers, and can cater to the partners in the regions Flanders, Wallonia and Brussels more intensely. „For many years we have already been very committed in Belgium. The positive developments in the market were the deciding factors for an independent sales office,“ said Christof Biba, director of marketing for Wagner & Co solar power, during his visit in October 2011. Attractive subsidies resulted in a significant market stimulation, so that the market size of the region is expected to reach 600 MW of solar power in 2011 (figures are based on estimates).The solar thermal sector, especially the large scale systems sector, shows a significant upturn. Currently a 540 m² Wagner & Co solar thermal plant is being installed in Droixhes as part of a social housing refurbishment project. „Especially in the large scale systems sector, there still is significant potential throughout Europe. Our European and international branches now increasingly utilize our more than 20 years of engineering experience with large scale installations“ explains Andreas Knoch, Wagner & Co head of marketing for solar heating technology. In both areas, solar thermal and solar power, Wagner & Co already established long term and close cooperation with specialized companies in Belgium, supervised by Frederic Herzog, a Belgian solar pioneer. „In 1991 I installed my first solar power systems together with my father. These experiences now serve my young colleagues, and above all our partners “ said Frederic Herzog. v.l.n.r. Christof Biba, Jean-Philipp Boucq und Frederic Herzog. Together with Jean-Philippe Boucq, who is in the business since 2010 and also a specialist for the use of the sun, they form a competent team for all solar technology issues in Belgium. „After eight years of positive experience as technical sales consultant in the industry, I naturally had the urge to put that experience to a good cause, which turned out to be renewable energy,“ says Jean-Philippe Boucq. Symbolically Christof Biba’s handed over his vision for 2012 in the form of a T-shirt: „Power. Heat. Future“ is the company’s claim. Herzog accepted it with a smile and said „We are looking forward to help with actively shaping the solar future – and with it the European energy transformation – in Belgium.